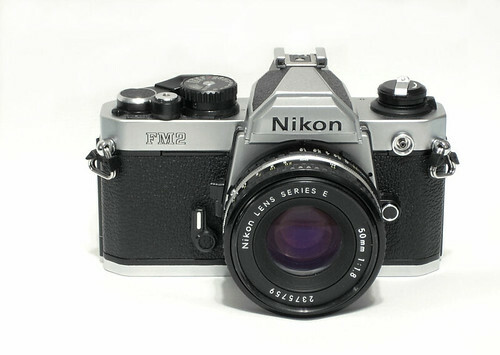 After having launched the original Nikon FM in 1977, succeeded by the FM2 in 1982, the FM2n followed one year later in 1983 together with the electronic FE2 and Nikon’s first multimode auto exposure FA. As the Nikkormat accompanied the early F and F2 and the more recent F100 accompanied the F5, the FM/FE/FA cameras were the daily companion of the F3. The Nikon FM2n is one of the longest serving Nikon SLR camera models – from its launch in 1983 untill 2001 when it was replaced by the hybrid FM3A. Differences between the FM2 and FM2n were minor. Nikon changed the focusing screens to the type II Brightscreen screens and a refinement was made in the sync speed from 1/200 sec to 1/250 sec. The X200 setting was removed. Also, the hot shoe was of a slightly different design, with a squared-off center cutout for the base of the hot shoe. The mirror box was redesigned to add a light trap that flipped up when the mirror flipped down. Around 1989/1990 the honeycomb pattern shutter was replaced with an aluminium blade-type curtain. 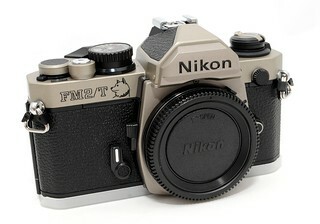 The FM2n was available in either black or chrome finish. The camera is fully mechanical; its meter (and only its meter) requires two PX76 batteries or one CR 1/3N lithium battery. There is a 1–1/4000 sec shutter speed range, plus B; and an ISO range of 12–6400. Focusing screens are interchangeable (Type III screens for the FM3A can be used). The MD-12 motordrive was optional. The camera can be used with the older MD-11, however with restrictions. 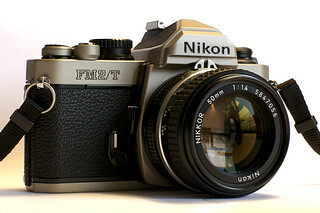 There are also two sister models - Nikon FM/2T and the Nikon FM/2 2000. The first has a Titanium shell and is finished in a sort of dull gray color. A limited edition Year of the Dog version was also offered. The latter is a limited edition model which was made to commemorate the Year 2000, the Year of the Dragon. A total of 2000 pieces were made. This camera is finished in champagne gold color and comes with a matching 50mm f/1.4 lens in a nice presentation box. This page was last edited on 12 January 2018, at 06:24.